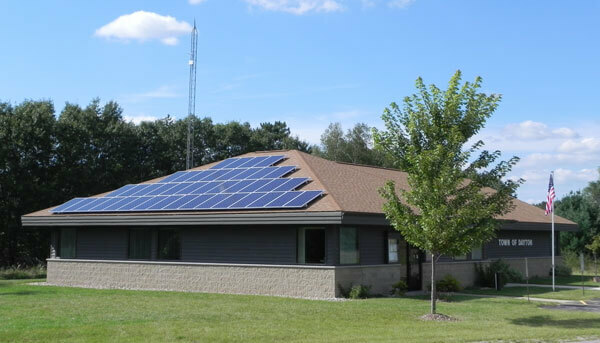 Tax exempt organizations across Wisconsin are increasingly utilizing solar power. 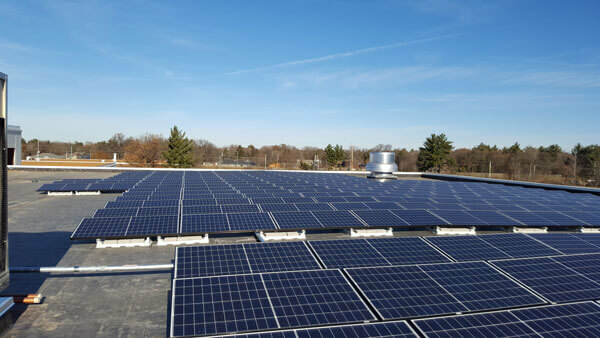 With rising electricity prices tax exempt organizations, such as schools, churches, local governments, libraries, and more are going solar as it offers cost savings and financial stability, as well as providing good stewardship of the earth's resources. Call us. It all begins with us getting to know you, your organization and your organization's goals for solar. There are no site visits until you are ready. At North Wind, we believe you should have a basic understanding of solar, know what size of system might work well for the organization, how much it may cost and what kind of incentives and financing are available. There are usually a lot of questions – we find a phone conversation works best at this point in our relationship. An informed customer is our best customer. We will ask for your last 12 electric bills. Why? Everybody uses electricity differently. Your electric bill will show us exactly how many kWh of electricity your organization uses each month and what rate schedule you are being billed on. The rate schedule your organization is being billed on is important to fully understand the impact solar can make on your facility. We will also get your address and we will do an aerial search and sizing of your facility – as well as detect any potential shading issues. We will design a system (or two) that will best suit the way your organization uses electricity, the available solar resource and your budget. Then, based on your feedback, we can modify that design until we reach the design that is right for your organization. After your organization understands solar power, its costs, energy generation and how it will work at your organization, an experienced Solar Design Consultant will schedule a visit with you. We will look over your roof, verify your solar resource and evaluate your electrical system. A thorough site evaluation is critical to the successful design and installation of your solar electric system. North Wind will work with all stakeholders in your organization to create a plan to move the project forward. The result is a firm, customized, turn-key solar installation proposal for you and your organization to consider. Once we have that perfect system designed for your organization – one that meets your energy goals and your budget, we will enter into a purchase agreement with you. At this meeting we will sign utility interconnection paperwork and apply for any incentives you may qualify for. We will also collect the equipment deposit. Now the wheels start turning. We order your equipment, submit the interconnection paperwork to your utility with all the required schematics and equipment data, and secure all the needed permits. You'll never have to deal with the stress of getting your system approved by the right people or worry that it might give you complications later on. Every system we install adheres to strict National Electric Code (NEC) requirements. This may be the time to host an informational session for your organization about your solar array, how it will work, and how it will save your organization money. North Wind is happy to help you with this presentation. Our team orchestrates the entire process, keeping an eye on everything, meaning that you get your solar, and your savings, quickly—minimizing any hang-ups or project delays. We also manage the installation talent and put the right people on the right job. We monitor every aspect of your project to ensure it's finished quickly, aesthetically and electrically correct. Today is the day the sun turns on your lights! We schedule and represent your organization at the utility inspection and the municipalities inspection. We commission the system to ensure that it performs as we designed it. We will explain how your system works, and when you need to call us if it does not. There is really not that much for your organization to do as a solar system owner. That is the beauty of solar energy. You will never look at a sunny day the same way again! Once your project is completed, you can keep an eye on performance via online performance monitoring software. Should you opt to include on-line monitoring with your solar system, it allows you to see what your system is doing for your organization, any day, any time. We will also work with you to create a public display of your organizations solar array production so your organization can share the clean energy production from the solar array. If there is ever an issue, your organizational contact will be notified via email and you can contact North Wind and we can trouble shoot remotely and if necessary dispatch a service technician to fix the problem. Review benefits and key considerations: As with any investment, it is a good idea to understand the benefits and key considerations related to non-profit solar power. Such due diligence will help you throughout the decision process, beginning with your free consultation with North Wind.